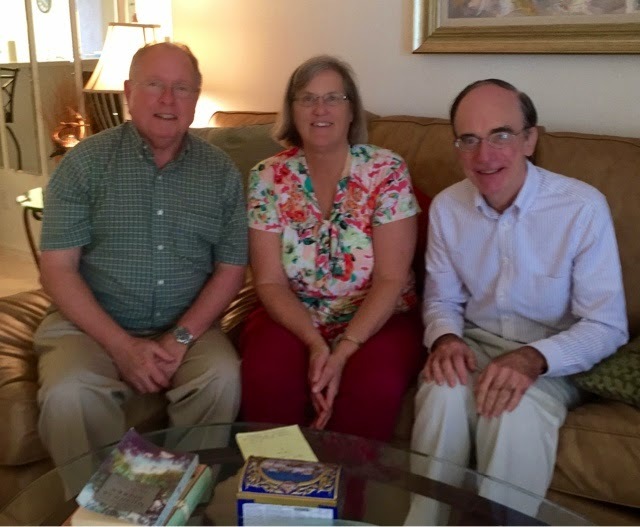 Bol and Sue visited us at home just about a month ago at the beginning of a mammoth trip with one of their daughters, her husband, and two children. 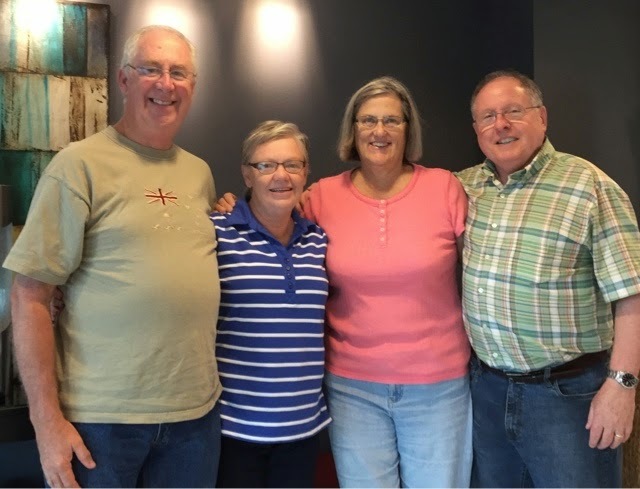 Their trip has included a cruise to South America, a couple of weeks in Florida, and much more. Lo and behold, they're almost driving past our Tampa airport hotel on the way to yet one more attraction, so they stop by for a quick visit. Next Brendan, another member of Flyertalk whom we also first met over eight years ago at our first "Oz Fest" in Melbourne, Australia, comments that he's going to be visiting with his sister (also a Facebook friend of Brian) and her husband, who are spending a month in a condo in... Naples! 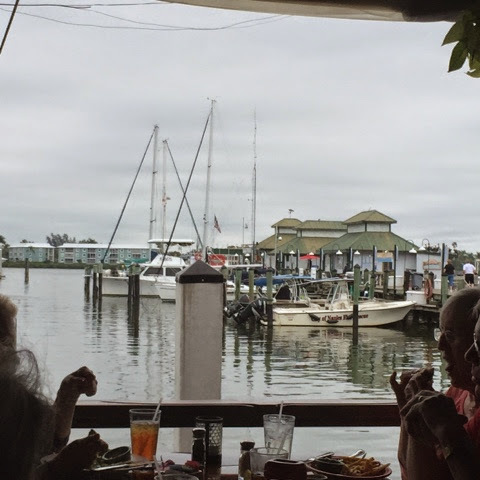 It's only a 30-minute drive from Tom's place, and he's at work, so we drive over and enjoy an exceptionally pleasant lunch with them at The Dock, a fun joint right on the water. Yes, it's a small world sometimes.